Anna Maria Hong teaches poetry, fiction, and creative nonfiction writing, as well as literature and hybrid-genre writing. In her teaching, Hong fosters the development and expansion of skills and approaches to creative writing through steady practice and rigorous reading of diverse writings from the nobly traditional to the boldly experimental. Hong’s first poetry collection, Age of Glass, won the Cleveland State University Poetry Center’s First Book Poetry Competition and will be published in April 2018. Her novella, H & G, won the A Room of Her Own Foundation’s inaugural Clarissa Dalloway Prize and will be published by Sidebrow Books in May 2018. Her second poetry collection, Fablesque, won Tupelo Press’s Berkshire Prize for a first or second book of poetry and will be published in 2019. 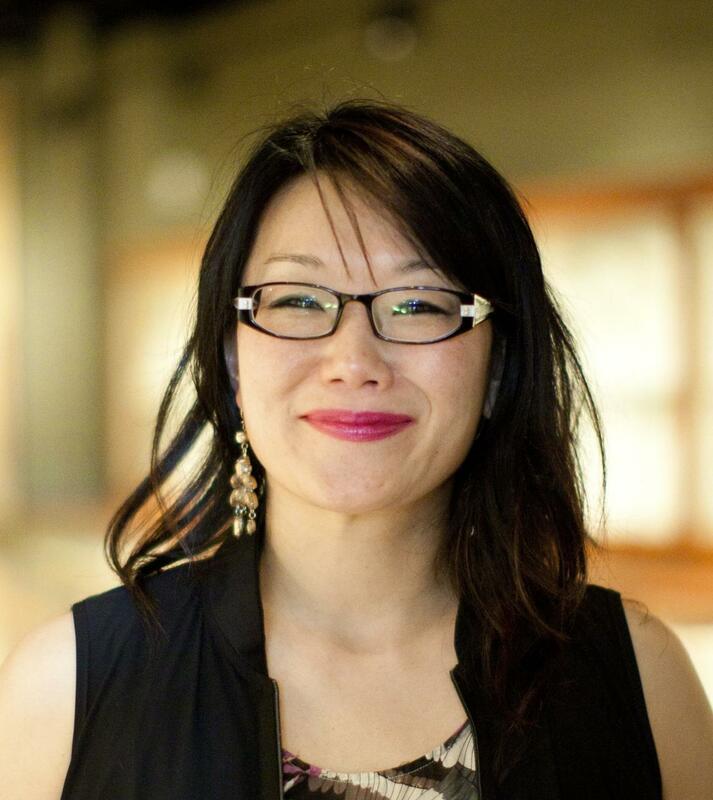 A former Bunting Fellow at the Radcliffe Institute for Advanced Study and the winner of Poetry magazine’s Frederick Bock Prize, Hong has received residencies from Yaddo, Djerassi, Fundación Valparaiso, and Kunstnarhuset Messen. Her poetry chapbook Hello, virtuoso! was published by the Belladonna* Collaborative. She is also the editor of Growing Up Asian American, an anthology of fiction and memoir published by William Morrow and Avon Books. Hong has essays, interviews, and reviews appearing in Poets & Writers, The International Examiner, American Book Review, The Stranger, The Austin Chronicle, Austin American-Statesman, poetryfoundation.org, and The Offing, where she is a Contributing Editor. In addition to individual projects, Hong’s collaborative works include lyrics for a song cycle titled Devil Madrigals by the Chicago-based composer Christopher Wendell Jones, which was performed by the Fonema Consort at the Chopin Theater in Chicago. She was a writer-in-residence at LigornoReese’s ice sculpture installation on Philadelphia’s Independence Mall titled The American Dream Project, and her essay on the 2016 U.S. Presidential election appeared in the anthology Four Years edited by visual artist Munro Galloway. Hong has also taught creative writing at Eastern Michigan University, the University of Washington Bothell, the UCLA Extension Writers’ Program, and Ursinus College, where she is the Visiting Creative Writer. She holds a B.A. in Philosophy from Yale University and an M.F.A. in Poetry and Fiction from the Michener Center for Writers at the University of Texas at Austin.